Statistics and WTO Litigation — Helpful for Policymakers and Better Governance. The author looks at what he calls the descriptive statistics of WTO cases as provided in a database on the WTO website. He considers this approach more relevant to policy makers than jurisprudential studies. He views the multilateral system as becoming more litigious over time. He notes the shift to litigation from negotiation can be seen as either an advance or a decline. He argues this is an advance. He also notes while many countries use the WTO dispute resolution system African and Middle East countries have yet to file a single action. The difference between common and civil law countries are not significant in explaining the differences in levels of litigation. Developed countries are the most litigious in the WTO. The U.S has moved away from unilateral threat of domestic litigation of the GATT era. Unilateral enforcement is now banned under global trade law. The US and the EU have filed the largest number of cases. There has been a decline in litigations early days (except 2012). 1/3 of all cases involve trade remedy cases. Most are antidumping cases. All of these observations are particularly informative. As a European the author notes, as expected, that the EU – US litigation accounts for the most WTO litigation. It is particularly interesting to note the rise of litigation between the US and China as well as between the EU and China. The level of litigation involving India, Japan and Korea is very telling as well as the increasing litigation by Brazil. Since the completion of the study, actions have been filed for the first time against one of the newest members of the WTO, the Russian Federation. These have been filed by the EU and Japan. The US has indicated that it will also do so shortly. A study of WTO litigation by the different US presidents (Clinton, Bush and Obama), as a mater of US foreign policy, would be also very informative. But that’s another story. I agree a statistical assessment of WTO litigation is essential to policymakers confronting the future. This study is a major advance in understanding the success of the WTO dispute resolution system as an essential part of global economic governance. …. Chapter 7 — “Dispute Settlement” in C. VanGrasstek, “The Future and History of the WTO.” (2013). …. Malawer, “U.S. – China WTO Litigation (2001 – 2010),” (December 2010). …. Malawer, “Litigation and Consultation in the WTO — Ten Years.” (July 2005). …. Malawer,”WTO Litigation After 10 Years.” New York Law Journal (December 2004). …. Malawer, “U.S. 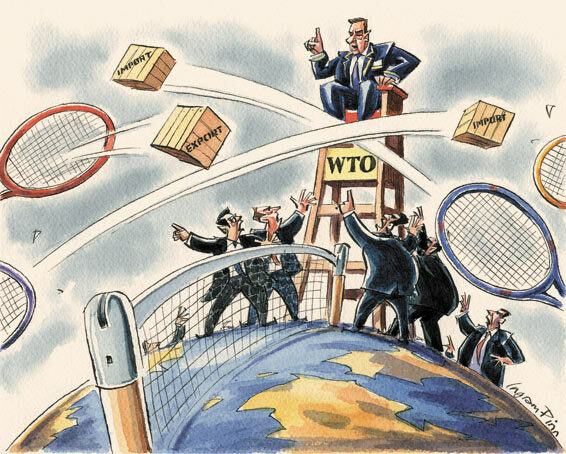 and WTO: Lessons Learned from Trade Litigation.” (April 2003). This entry was posted in Global Trade Relations and tagged Asian and Confucian approaches to negotiation and not litigation or confrontation, China and Korea and Japan litigation in the WTO, common and civil law countries and WTO litigation, litigation and negotiation in the WTO, policymakers and WTO litigation statistics, US and EU WTO litigation. Bookmark the permalink.